Any IRS audit or examination that potentially involves fraud could eventually be investigated by the IRS’s criminal division. These investigations are serious and can involve substantial penalties and jail time. Whether you are being investigated for a possible tax crime or have been already charged, you do not want to face prosecution or conviction without the proper representation. If you want to avoid dire troubles that could eventually have the effect to land you in jail, the best advice is to file on time and be honest and precise with your reporting. Everyone makes mistakes, but if you are not forthcoming or cooperative during an IRS audit then the examination can take an aggressive approach and possibly get referred to the criminal investigation division. The IRS will look at what it calls “badges of fraud” to determine if it should refer a case to the criminal division. These “badges of fraud” are various factors that the IRS has formulated to determine if a criminal investigation is warranted. These factors include: omitting sources of income, concealing bank accounts, concealing the source of receipts, or structuring deposits to avoid reporting requirements. The IRS could also examine someone’s “lifestyle” to see if they are living extravagantly compared to the income reported on their return. If criminal investigations are already underway in your situation, it is probably because the IRS has found the presence of one or more of these “badges of fraud.” The IRS can run civil and criminal investigations at the same time, and they generally will not inform you regarding the beginning of a criminal investigation. The bottom line here is that the IRS has a lot of power, especially if the agency decides to turn over your case to the Criminal Investigation Division. At Dallo Law Group we have years of experience dealing with IRS audits and criminal investigations. 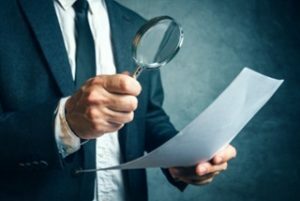 We handle audits to ensure that there is no referral to the Criminal Investigation Division, but if your case already has been referred we can take over the case to mitigate any potential negative outcome. While you may be tempted to battle with the IRS alone, know that a criminal conviction would mean jail time and that is not a risk you should be taking. Give us a call for further guidance: 619-795-8000.